Who thinks ‘slavery simulation’ software is a good idea? The MPS of course. Last year the cracker jack team of BAE launched an offensive on the Minneapolis Public Schools. To express our outrage for the persistently substandard conditions of black students in Minneapolis, and the system inequities that hurt them, we gave birth to the hashtag #JimCrowJr. When Superintendent Bernadeia Johnson talked about her decision to resign after earning over a million dollars to preside over a district in decline, she mentioned our hashtag as something she thought was crossing the line. Things might be bad in MPS, but insinuating that the district is anything like the white supremacist systems of the Jim Crow era is clearly over the top. So, imagine our surprise to find out that MPS is using slave simulation software that is widely criticized by black educators nationally. Yes, you read that right. Slavery as a computer game is a thing. First, some context. 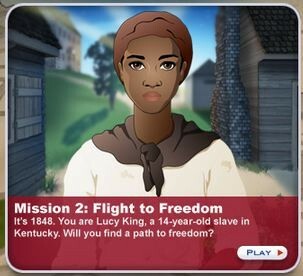 The game is called “Mission 2: Flight To Freedom and it is intended to be “an interactive way to learn history.” It first came to our attention from Rafranz Davis, a teacher with expertise in instructional technology. She called out this software in a blog post that was shared widely on Twitter among educators of color and allies. 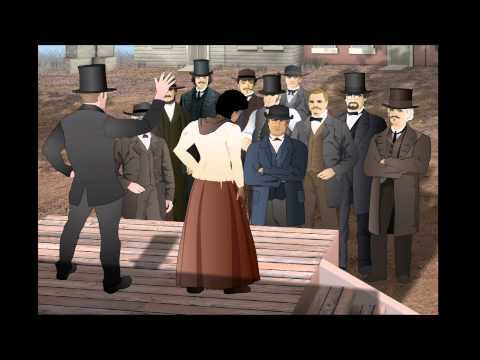 Flight to Freedom is a simulation of slavery meant to give students an interactive look into history. It features everything the “edtech” buzzword community loves…role playing, badges, student choice and reevaluation of failure. The problem here is that IT’S ABOUT SLAVERY…one of the darkest times in American history that STILL holds deep wounds…irresponsibly presented as a “too easy fix” on the part of the slaves themselves through decision making. Yes, Lucy…you’ll get a beating and it’s not because you are a slave who is owned by an evil slave owner…but because you chose the wrong path…thus, consequences. Lest you think we make too much of the issue, Davis points out that black parents in Arizona have sued public schools for using slavery simulation software. So surely we would not have this problem in the liberal north. Alas, while this story circulated a MPS parent alerted us that this software is being used here. She raised the issue with her child’s teacher and he told her the student could opt out, but he would continue using it with other students. Isn’t it interesting that this district thought the #JimCrowJr hashtag was harsh, but thinks putting black children – any children really – through a simulation where they will be called a “niggress” and subjective to the painful legacy of slavery is peachy. Will this program emphasize that no matter what choice a slave made, they were still subject to repeated rapes, beatings, family separations, forced pregnancies to produce more slaves, murder, and torture? Will it depict how slave masters attempted to break a slave’s spirit like they did horses? Will it explain the use of Christianity to justify such horrid deeds by white people? Will it provide an accurate picture of the genocide that happened across the diaspora? Will it offer qualified PTSD support/treatment to the children using the software by professionals who grasp the long term effects of slavery and institutional racism, and the fallout from exposing our babies to something so violent and evil and deeply rooted in the foundation of this country?